Why would I need self storage in San Dimas, CA? There are a variety of reasons why you might need self-storage in San Dimas, CA. How much is a storage unit in San Dimas, CA? The cheapest storage unit in San Dimas, CA is $69.00 per month. What size storage units do you have available in San Dimas, CA? In San Dimas, CA we have sizes that range from 5'x5' to 10'x20' to suit your storage needs. How much is it for a 5'x5' storage unit in San Dimas, CA? The cheapest 5'x5' storage unit in San Dimas, CA is $69.00 per month. Nestled in the foothills of the San Gabriel Mountains, San Dimas offers the welcoming feel of a close-knit community just 25 miles from the conveniences of Los Angeles. Ample green space gives residents plenty of opportunities to head outside and enjoy the mild climate and warm weather. The city's rich history is rooted primarily in the citrus industry, and you can still glimpse a bit of San Dimas' past by exploring its historic downtown. The 1934 railroad depot, 1969 City Hall and 1887 Walker House still stand, though only city hall continues to serve its original purpose. One of the best-known features of San Dimas is its historic downtown district, anchored by a collection of historic homes and buildings. The city's original railroad depot, built in 1934, is a major attraction in the district. It now houses a local museum, where you can get a peek into the city's past. The Walker House, originally constructed as a railroad motel, has undergone restoration efforts and has been transformed into a museum, art gallery and small restaurant. It's extremely pedestrian-friendly and you can usually find a number of locals strolling through the area on a sunny day. There are a number of antique shops, family-owned cafes and restaurants, a small town hardware store, and one of the top model railroad stores in the region. The downtown's community plaza is host to a number of special events and celebrations in the city, and is a popular gathering space for locals and visitors alike. The friendly community of San Dimas hosts a large number of community events throughout the year, including holiday celebrations, charitable events and cultural experiences. The Western Art Show is a large weekend event that involves hundreds of well-known Western artists who bring paintings, drawings and sculptures to San Dimas for exhibit. A highlight of the art show is the Quick Draw event, in which the artists compete in a speed drawing contest. The Wildlife Art Show is another popular art event in San Dimas, featuring animal and nature-themed works from a variety of artists. Family-friendly events like the city Birthday BBQ, the Family Festival and the Downtown Holiday Extravaganza offer a number of activities for children to enjoy. Bike rodeos, crafts, food booths and live music are just a few of the things to enjoy at these community celebrations. The Bonita Unified School District manages the public schools in San Dimas. There are a few private schools in the area as well, offering faith-based, secular and Montessori education options. Utilities: Southern California Edison and Southern California Gas are the city's energy providers. Golden State Water Co. supervises the distribution and billing of water services. Garbage and Recyclables: Your trash and recyclables will be collected curbside in most residential areas of San Dimas. Transportation: Foothill Transit facilitates public bus transportation in and around San Dimas. Voting: The state of California requires that you register to vote at least 15 days before an election in order to be eligible for voting. You can complete the registration process on the city's Voter Information page. San Dimas is an extremely desirable place to live, which is evident in its rising home prices. The median home price sits above the California average and is much higher than the national average. However, a mix of single-family homes, condominiums and apartments offer plenty of options to fit your budget and preferences. Our lowest priced units in San Dimas, CA average $69.00 per month. 42 people have reserved units in San Dimas, CA in the past 30 days. 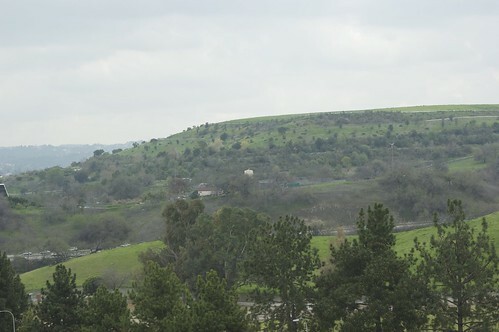 There is 1 location within San Dimas, CA's city limits.